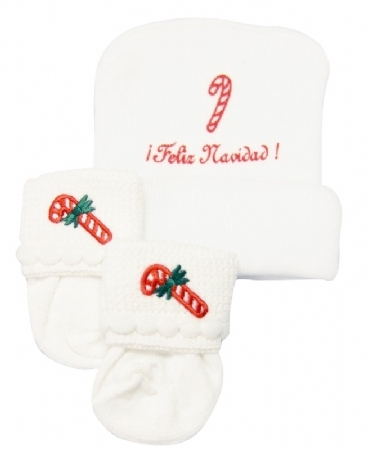 Our decorative Feliz Navidad Baby Hat & Sock Set is sure to spread holiday cheer all throughout your nursery! 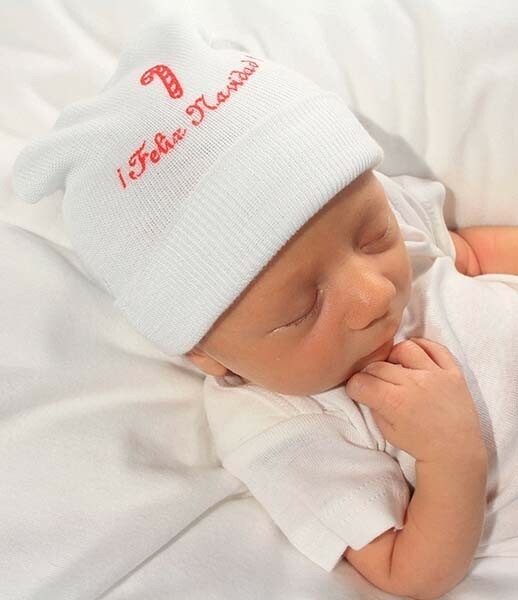 The deluxe screen printed cap features "Feliz Navidad" and a candy cane in red. 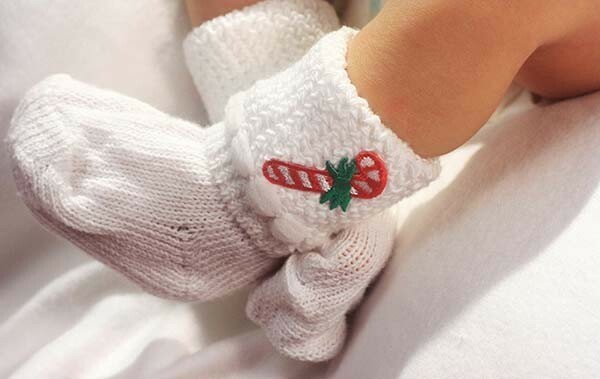 Our adorable Holiday baby booties are adorned with candy cane emblems, making a beautiful keepsake set for new parents.